I received this item free of charge from Chewy in exchange for my honest review. It’s not always easy to find things that are made for hedgehogs. Yes, they are still quiet uncommon little pets! But luckily a lot of items for other small pets can also work with hedgehogs. Today we are talking about the Kaytee Cuddle-E Cup that you can find on Chewy (one of our favorite places to stock up on all things for our pets). Yuki is a snuggler, so I knew that she would enjoy the soft inside of the cup a lot. It did not disappoint! Once she did all of her sniffing, she settled right in. It’s a little large for her cage, but I liked that there is a clip on the back to help hold it stationary in a cage. We have it in her play area, and she likes getting in and taking a break in it. I think this would actually be an amazing addition to a ferret cage (my ferret would have LOVED it). Also, it’s machine washable, which is a must because we all know that it’s going to get messy. The fabric is also really durable, even Yuki’s sharp little teeth didn’t put a hole in it. And she had a good chew on it too! 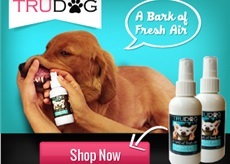 An awesome small pet product for sure! Learn more about it here. This entry was posted in hedgehogs, reviews. Bookmark the permalink. I love this! This is informative and adorable!! !